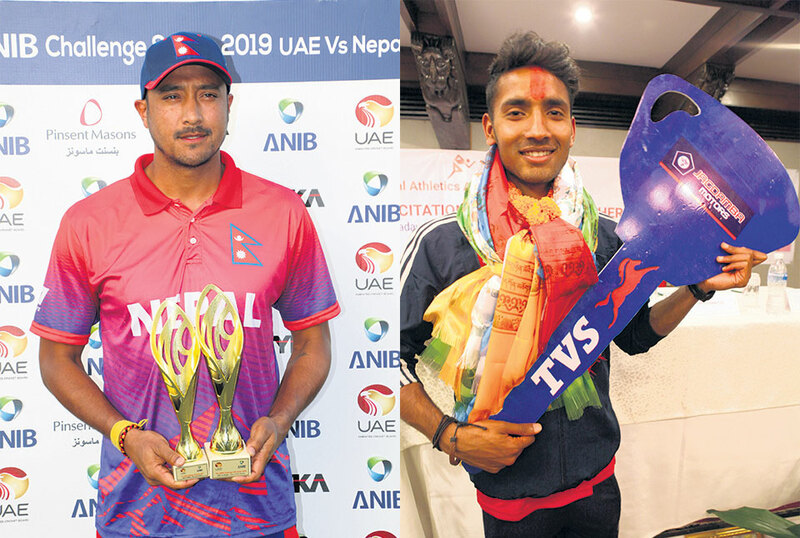 KATHMANDU, April 14: The Nepali year of 2075 BS was a memorable time for Nepali sports, with Nepal national cricket team winning its first ODI series against the United Arab Emirates (UAE), athlete Ajit Yadav winning a historic gold medal in Asian-level athletics championship and Women’s SAFF Championship being hosted in the country where Nepal finished as the runner-up. Athlete Yadav claimed a historic gold medal as he won the 3,000-meter race in the third Asian Youth Championships in Hong Kong. With his medal, Nepal claimed a joint 10th place with Saudi Arabia, Malaysia, and Thailand in the final medal standings. 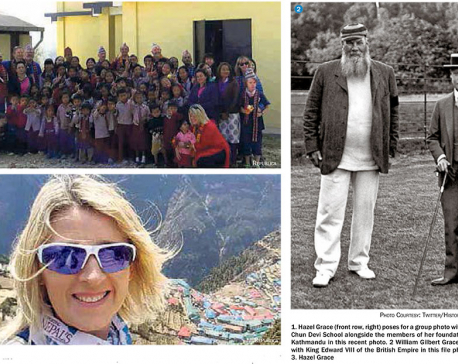 Among his many felicitations, he received Rs 60,000 as monthly salary from Nepal Athletics Association. The association rewarded Yadav with a motorbike and his coach Dhaniram Chaudhary with cash prize of Rs 100,000 for their respective contributions in Nepali sports. Likewise, the Province 2 government announced a cash prize of Rs 500,000 for Yadav. Nepal’s national cricket team captain Paras Khadka inscribed his name in history books by scoring 115 runs to secure Nepal’s first-ever One-Day International (ODI) series. Khadka smashed 15 boundaries and a six as Nepal defeated the host country UAE by four wickets at the ICC Academy in January. Nepal had lost the first match of the bilateral series but bounced back to win the second and third matches and clinched the series 2-1. Khadka also became the first cricket captain of Nepal to secure a series win against an ODI nation. It was Nepal’s second ODI series following a draw in the two-match series against the Netherlands in August 2018 after securing ODI status in March the same year. In the same series, Rohit Kumar Paudel became the youngest half-centurion in international cricket and Sandeep Jora registered a half-century in T20I cricket becoming the youngest player to do so. Nepal hosted a historic SAFF Women’s Championship and also finished as the runner-up for the fourth time in five years. Despite not getting the title in the home country, Nepal showed great character and determination to reach the final. It had not conceded a single goal till the final, but lost 1-3 to India. Maheshwor Maharjan won a gold medal in the 10th World Body Building and Sports Championship held in Chiang Mai, Thailand, from December 11 to 17. He became the only Nepali player to win a gold medal in an international event. He won the medal in 75 kg weight category. Maharjan had also won a gold medal in Asia when he claimed the medal in the 50th Asian Body Building Championship held in Bhutan in 2016. As far as now, Maharjan is the only Nepali player to win two international level gold medals in Nepal’s history in body building championships. Nepal finished as the champion in the Asia Cup Fourth International Karate Championship held in Mumbai of India on December 23 last year, clinching 20 gold medals. 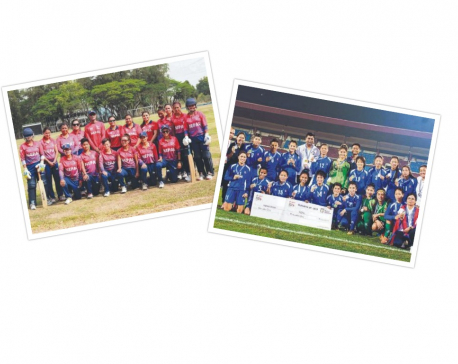 A squad from the Sports Science Academy of Nepal represented the country in the tournament. It won 20 gold towards Kata and Kumite and two silvers. Tulshi Thapa Magar won the bronze medal in the Asian Muay Thai Championship organized by the International Federation of Muwa Thai Amateur and the Federation of Association Muwa Thai Amateur in Macau on December 19. Nepal organized the Paragliding Accuracy World Cup for the first time in its history after commercially starting the game in Pokhara nearly 20 years ago. The tournament was held from November 1 to 4 last year. Korea won the tournament, while Nepal finished eighth.